Are you unhappy with the image your smile is portraying to the world around you? 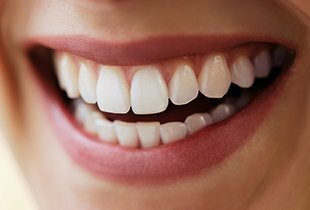 Many studies have shown that people with brighter, straighter teeth are perceived as much more successful, more attractive, and more intelligent than their peers. While these first impressions shouldn’t be all that people rely on, the truth is that they can still affect your personal and professional lives in significant ways. Here in Arcadia, Dr. Canzoneri wants to help his patients radiate confidence with a personalized cosmetic makeover. Our practice is home to several services that can correct frustrating smile flaws and create the perfect look for your vibrant personality. Contact us today to schedule your first consultation! If you are looking for a fast and comprehensive cosmetic service that can transform your smile’s appearance all at once, consider investing in porcelain veneers. This type of restoration is crafted from the same materials as an all-porcelain crown, but it’s designed to be thin enough so that it can fit over just the front surfaces of teeth instead of the entire shape. As a result, years of frustrating flaws and imperfections are hidden all at once behind a refreshed, beautiful appearance! 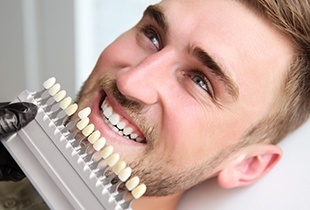 When restorative work becomes necessary to correct one or more teeth, many patients worry that their smile will no longer appear wholly natural. Thankfully, metal-free crowns, inlays, and onlays are available here in Arcadia as the perfect marriage of aesthetic value and long-lasting durability. We use high-quality materials that have the same translucent qualities as tooth enamel and are 100% biocompatible as well for a virtually seamless result in both look and feel. 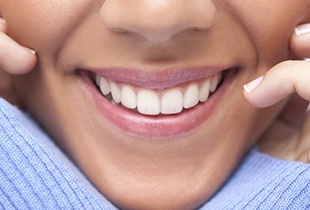 Cosmetic bonding is a fast and effective service for correcting relatively small smile flaws, such as a chip in the enamel or a minor gap between teeth. Dr. Canzoneri will apply tooth-colored composite resin to the tooth in question and carefully sculpt it into place so that the addition both hides the offending area and blends right in with the rest of your smile. In most cases, this process will only take a single appointment of your time. 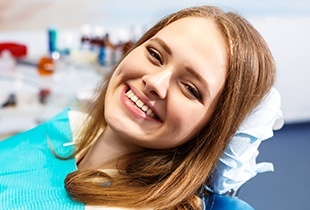 If you’re unhappy with your smile’s current look because of dark stains or yellow discoloration, consider exploring the outstanding benefits of laser bleaching with Dr. Canzoneri. This procedure only takes one appointment of your time, during which we’ll combine the laser’s focused wavelength with high-grade bleaching solution. You can expect your enamel’s final shade to be anywhere from 6-10 shades brighter by the time you leave. Some of our patients would like to achieve more gradual whitening results, and they’d prefer to make changes on their own schedule. We’re happy to accommodate these preferences with an at-home whitening kit. These kits come with personalized oral trays that are a perfect fit for your specific mouth, as well as professional-strength whitening gel. The patient only has to wear both together for a prescribed amount of time each day whenever they have the time, and they should see beautifully dramatic improvements in just a few weeks. Gum tissue can grow excessively in some patients, resulting in an uneven gum line or a smile that appears overly short and “gummy.” This condition may even result in restorative difficulties, as the tissue will get in the way of correcting teeth. Thankfully, Dr. Canzoneri can lend a helping hand with his state-of-the-art soft tissue laser. We will precisely recontour the natural gum line, remove any unnecessary tissue, and reveal previously hidden dental structure. Are you ready to give your smile a comprehensive transformation? If a single service won’t cover all the gorgeous changes you’re hoping to make, let Dr. Canzoneri know that you’re interested in a smile makeover. During an initial consultation, he will review your current oral health and personal goals in full before creating a one-of-a-kind treatment plan that’s made up of our available cosmetic services. This pre-planning phase will also help us arrange these appointments efficiently so that your time is always handled well.